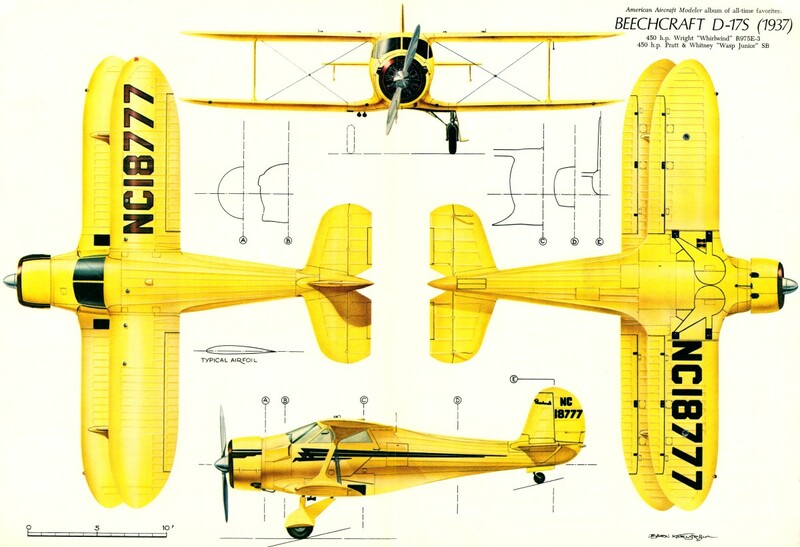 This 4-view for the 1937 Beechcraft D-17S Staggerwing were scanned from my purchased copy of the August 1968 American Aircraft Modeler magazine. 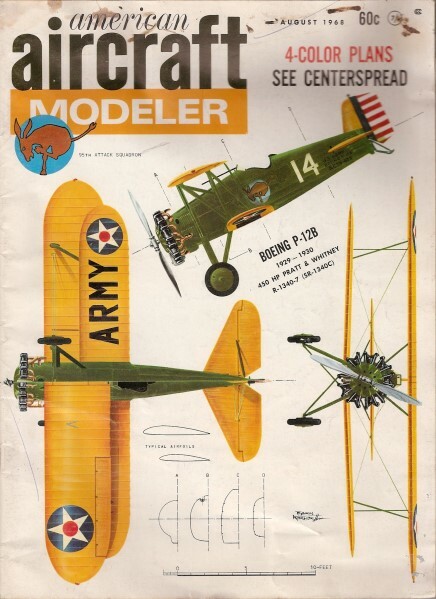 3-view for this fine model was drawn by Mr. Björn Karlström. All copyrights (if any) are hereby acknowledged. See also Beechcraft Staggerwing 3-view.